Integration Objects’ newest solution, a series of Smart Equipment modules, is here to address your plant performance and safety concerns. These ready-to-use software components embed years of process knowledge in operating and optimizing process critical assets. They were developed on top of Integration Objects’ KnowledgeNet® platform for performing real-time monitoring, conducting predictive analysis, and diagnosing root causes of process issues, thus ultimately guiding operators to more efficient decisions. 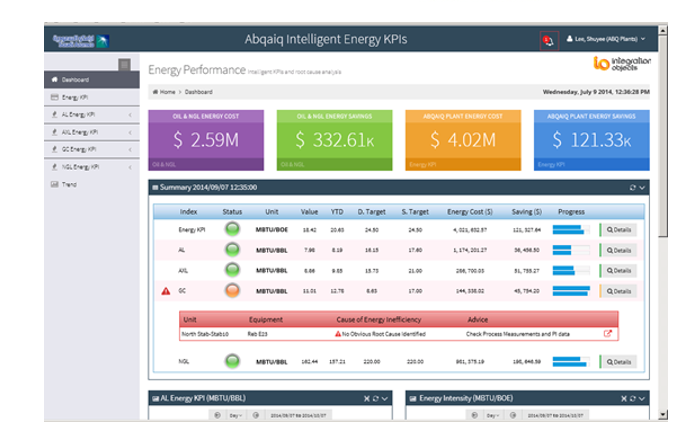 Smart Equipment modules are available for deployment with a complete standard set of KPIs, rules and fault trees that can be easily customized and extended to more perfectly match our customers’ needs using powerful graphical development environments provided by the Integration Objects’ KnowledgeNet environment. Smart Equipment modules detect and manage diverse complex events. Take a look at the top five complex events for each model. Fast implementation and rapid deployment of powerful applications for improving process performance and safety. Advanced real-time calculation of Key Performance Indicators and their continuous monitoring for problems prediction and optimized resolution processes. Generation of corrective actions in line with best practices, focusing on improving safety and consistency of operations. Typically very high ROI due to shortened development and deployment cycles.